Welcome to the November edition of Inheritance Recipes! I hope you are enjoying autumn and if you are on the half term break, that you are getting a chance to relax at least a bit. Did you prepare any interesting family recipes recently? We would love to see them all in our link-up and most of all read stories behind them. You can submit links (old or new) via the form below. And in the meantime take a look at September round-up on Solange’s website. Inheritance Recipes is a challenge that Solange of Pebble Soup and I have started to celebrate dishes food bloggers cherish. Recipes which have been passed down by a family member, a friend, through an ancestral culture and dishes which you would like to bestow to future generations. We will share your recipes via our social media channels and include in the round-up (with pictures) at the end of the month. We will also add your recipes to the Inheritance Recipes Pinterest board (that has 3.2 K followers), Inheritance Recipes Facebook group and include your blog’s handle in our Inheritance Recipes list on Twitter that we use to re-tweet on daily basis. Don’t forget to subscribe to them all! 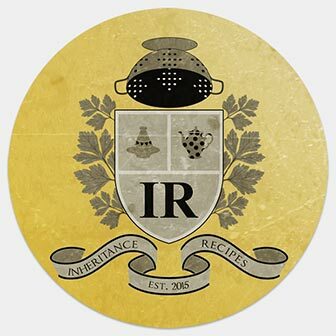 If you are new to the Inheritance Recipes the “how to enter” instructions can be found on our main IR page. Closing date for this linky is the 26th of November 5 pm GMT. All qualifying entries will be featured in full round-up at the end of the month. Entries from bloggers all around the World are accepted. We can’t wait to see your Inheritance Recipes! Please note that entries that fail to follow “how to enter” instructions won’t be approved, allow 48 hours for the entries to appear in the linky below. Full round-up with pictures will be posted at the end of September. THIS LINK-UP IS NOW CLOSED. If you use Twitter to promote your recipe, please use #InheritanceRecipes, tweet it @coffeenvanilla or @solangeweb and we will re-tweet it. When you have a spare moment do visit other entries that caught your eye, comment on them and give them some social media love as well. Please, take a few moments to read Terms & Conditions, if you haven’t done it yet.